Following hot on the heels of Ryan Gregory, we congratulate 24 year old Harry Guy who in our match against Sutton & Epsom earns his 100th Chobham 1st XV cap and as a result joins the exclusive Chobham Centurion Club. Harry joins an illustrious band of both current and former players to achieve this tremendous milestone and is only the second player in five seasons to hit the century mark reflecting the intensity of the modern game. A list of all our Centurions is on the honours board in the club house. Born in Sutton Coldfield, Harry’s first taste of rugby came at Cowbridge RFC in the Vale of Glamorgan. A move to Surrey in 1995 led to Chobham minis in the under 6 age group and thereafter following under the tutelage of successive age group coaches Steve Kelly, Kevin White, Clive Everett, Steve Jelly and Nigel Guy. Progressing through all the Chobham age groups right through to under 17 he became another one of Jon Smalley’s eminent Devils whose senior career has subsequently kicked on very strongly. He became a 1st XV regular at St John’s School Leatherhead before rugby and a Politics degree at Cardiff University restricted his appearances at Fowler’s Wells. 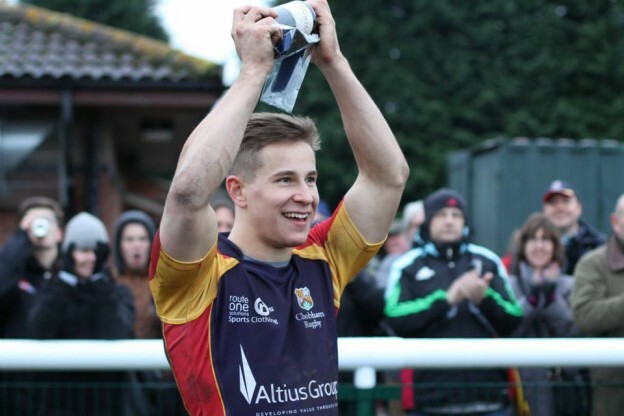 Since his Chobham 1st XV debut in as an 18 year old in season 2008/9, he has developed particularly under the expert guidance of Coaches Ryan Gregory and Tony Paul and played an important role in the club’s recent success including the double season of 2012/13. 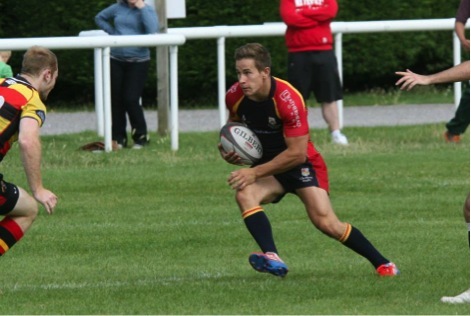 At home in either the 10 or 15 shirt Harry is a key member of the potent Chobham back line responsible for some of the entertaining attacking rugby we see at Fowlers Well. With elder brother Oli also very much part of the senior player set up, it’s very much another family affair at Chobham and we send both Harry and the Guy family our very best wishes and heartiest congratulations on this auspicious occasion.